For normal/oily skin types. Your skin needs periodic exfoliation to reduce the risk of clogged pores, blackheads and ingrown hairs. Invigorating Face Scrub is an energising gel scrub for smoother, clearer skin and closer shaves. Actively exfoliates dead skin cells to smooth skins texture for a smoother shave. 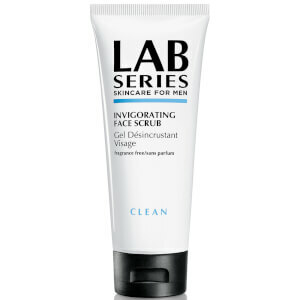 Helps unclog pores of dulling debris and sebum. 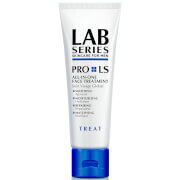 Preps face for shaving, helping to prevent ingrown hairs. Water\Aqua\Eau, Alcohol Denat., Silica, Glycerin, Oleth-20, Prunus Armeniaca (Apricot) Seed Powder, Menthol, Triethanolamine, Carbomer, Trisodium Edta, Phenoxyethanol. Great product. helps shaving become much smoother. This Invigorating Face Scrub does what it says it will do, however I find it to be a bit too expensive to use as regularly as I'd like. 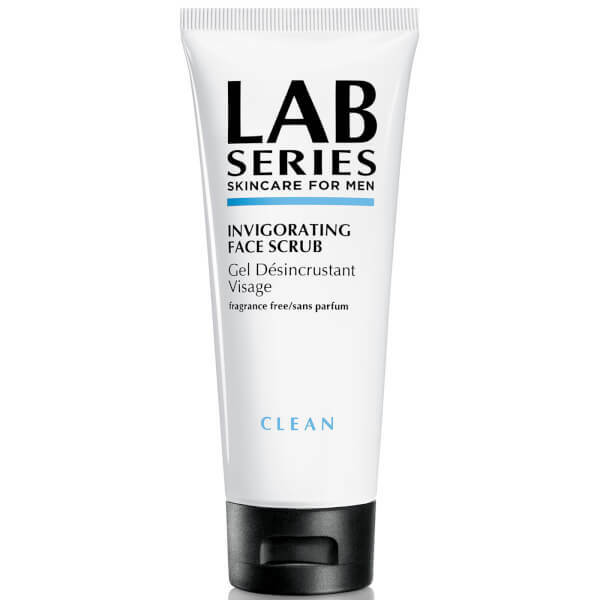 I use Invigorating Face Scrub 2 times per week, after using this your face feels nice and fresh, as the little exfoliating beads remove dead skin cells and dirt that has built up on your skin, I usually use this after the multi-action face wash.
Invigorating, well it will definitely leave your skin red. I've had many different scrubs before, and all of them resembled something much better than what looks a lot like hairgel and sea sand. I would never recommend this to anyone, waste of money and space in your bathroom cabinet. Normally buy cheaper products from Boots, L'Oreal, King of Shaves etc... this stuff makes you wonder why! You can actually feel and see a difference after the first use! Quality product! I have had face scrubs in the past that seem to work better in my hands than on my face.This stuff though just makes your face feel like its just been dunked in the arctic ocean. So fresh and clean afterwards I couldn't believe it. I use it two to three times a week and people have already started to comment on the effect. The only face scrub I have ever liked is Clinique, till I found this wonder, skin feels fresh clean and ready for anything! fantastic wonder. Easily the best grooming product of any kind I've ever used! Without being excessively rough, my skin feels genuinely exfoliated, oil free without drying, and oxygenated and superbly clean. Upon my return home, I stopped using it and also quit smoking, resumed my much healthier lifestyle and within a couple of months began to get the same old occasional spot, dry patch, etc. Tried detoxing my colon with organic herbal detox supplements added extra fibre in my diet, improved my raw fruit and veg intake even more, used other excellent skincare products...and over a period of 6 months, nothing helped much. Recently started using this again, and once again my skin has miraculously cleared up (in less than 3 weeks)! It's also an enjoyable experience to use in the shower in the mornings. I do tend to use it every day, rather than the recommended 3 times a week. This is my single favourite male grooming product on the market! I am using it for over 2 years and it is the best. 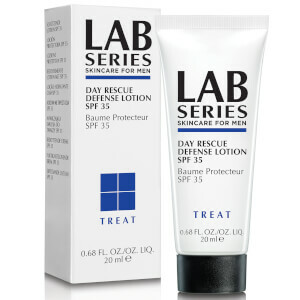 For me it is the best Lab Series product I would prefer from the whole series. Again, I used to go for the Clinique scrub, but I've been converted - this product is just as effective - probably better - skin actually looks visibly smoother and more alive immediately after use - yet the product does not seem so harsh and does not dry the skin like the Clinique one does. I agree with the other review, I think it's better than Clinique and Clarins scrubs. This will really leave your face ultra clean and smooth. The grains are quite course though - so don't rub too hard or you could be left with bright red chops. This is really above average, and I notice a big positive difference after every time I use it. I find it doesn't go a really long way, but I couldn't fault the quality. I use it a couple of times a week before a night out. I have tried most facial scrubs and this is by far the best at getting down to where you need it most. You can actually feel the dirt being removed. Don't rub too hard though as you will have sore palms not to mention sore cheeks. Use this with the active face wash and feel like you have had a facelift! Active Treatment Scrub could be the best product in this line...I have a rather thick, fast-growing beard, and this stuff really helps prepare my face for a shave. But the most important thing is that this scrub makes your skin look and feel brand new. I find my face looks great just after using it, usually the night before I plan on shaving the next day (I shave about every three-four days). The best scrub I've tried, I'd never use any other. This is an excellent scrub and when using it you can actually feel your skin being invigorated. 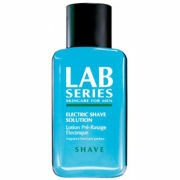 I believe that we shouldn't waste our money on cheaper products as Lab Series is proven quality and actually works.